“Congratulations from PEN” read the subject heading of an email that I read on my old school iPhone 4 while barreling down the coast on the Amtrak Northeast Regional. 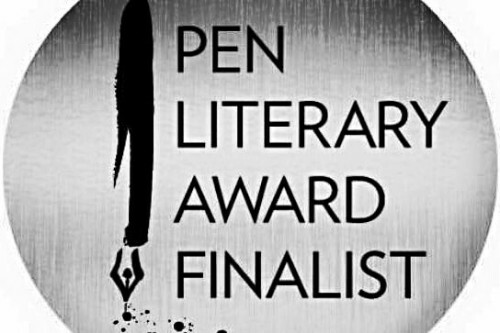 I was being informed that my manuscript “The Fear of Large and Small Nations” had been selected as one of ten finalists from 140 submissions for the PEN/Bellwether Prize for Socially Engaged Fiction. Sitting alone in the Quiet Car, I enjoyed a strange, silent moment of disbelief and bliss. This was the book I had been working on for seven years, and I had used the deadline of the contest just so that I could trick myself into completing it. Now I was being told that I had done something good. A week later, when it was finally announced publicly and friends rejoiced, I felt it necessary to reveal all the rejection the manuscript had received for years before garnering some good news. After all, I always tell my students that when they receive a rejection, it’s actually something good: a reminder that they are engaged in a process of failure, learning, and success, and all three are part of the same ongoing cycle of growth. Now that someone else has won the contest, I am still celebrating. My friends have been reading the manuscript and are giving me feedback this month. Finalist status has granted me that final push of encouragement to make the “Fear of Large and Small Nations”, a labor of love about the mystery, frustration, and wonder of Armenia, the best that it can be. I’m thankful for the process.